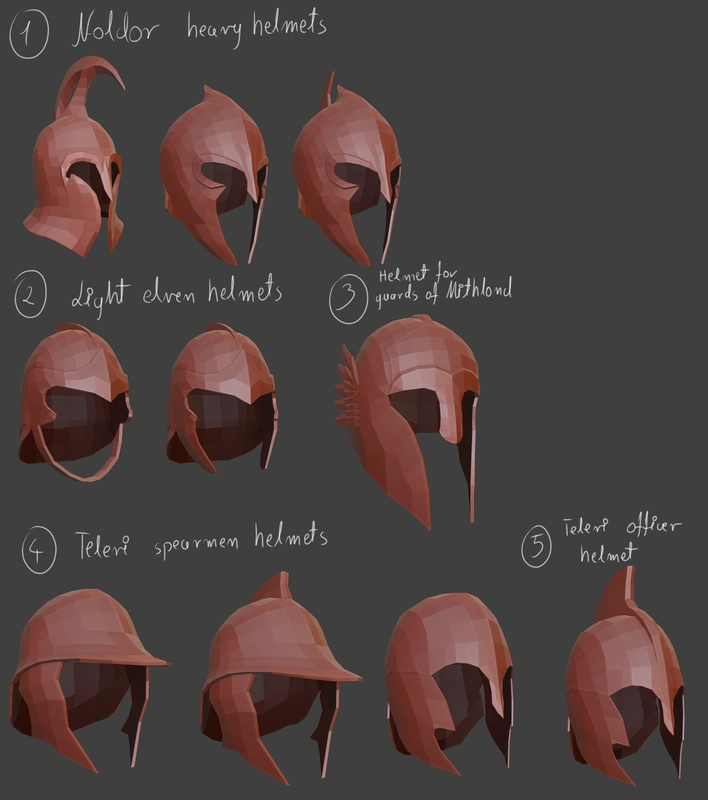 Little preview with lowpoly helmets for Elves factions. In last days I created some models for elves factions. Currently is only lowpoly version - soon I will make textures and normal maps for this. In next week propably I will start work on armors and shields for this race. Great job, splendid models ! Carry on the good work !! :) May Shogun 2 TW live for ever through your beautiful mod !